The Media Center is open from 7:20 am to 3:30 pm Monday – Friday. Hours are subject to change due to meetings and staffing. 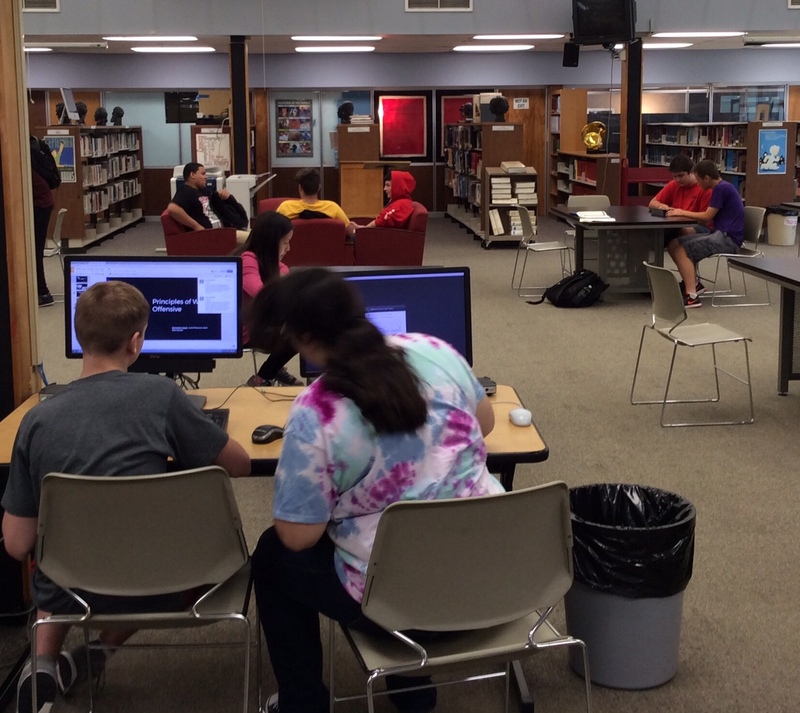 Study Hall: Students may use the Media Center during their study hall but they must first check in with their study hall teacher and come with a pass. must sign in to the Media Center during school hours if not with a class. Food and Drink: Food is not allowed in the Media Center. You may have covered beverages. Book Checkout: Students may check out any book that this not on a teacher's reserve cart. No ID is needed (just give us your name). Checkouts are for 1 month unless otherwise noted. Computers: Students may use the Media Center computers, however, classes who have signed up have priority. Late Passes: The Media Specialist cannot give late passes to students. Please be mindful of the bell schedule, especially in the morning. Students must conduct themselves appropriately. Sleeping, loud outbursts, talking on cell phones and the general disruption of other students are not permitted.